This entry was posted in courage, grief, SAD on 30 November 2018 by Martina. In our Western society, we have a tendency to guard against sadness. When we see someone who is down, or struggling, we don’t sit with them in their pain, but rather, we try to encourage them to not be sad. We even tell them that they shouldn’t be sad, and then list a long array of reasons why they need to be happy. 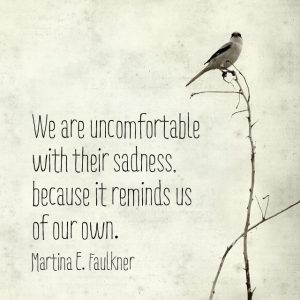 The truth is, though, when we do that, it’s because we are uncomfortable with their sadness, because it reminds us of our own. Now, I’m not talking about the person who is perpetually negative or complaining (nor about the individual experiencing clinical depression). That’s a different story. I’m talking about the person who just found out that a relationship wasn’t what they thought it was, or who lost a loved one or a pet, or their job. I’m talking about sadness and grief, not negativity. 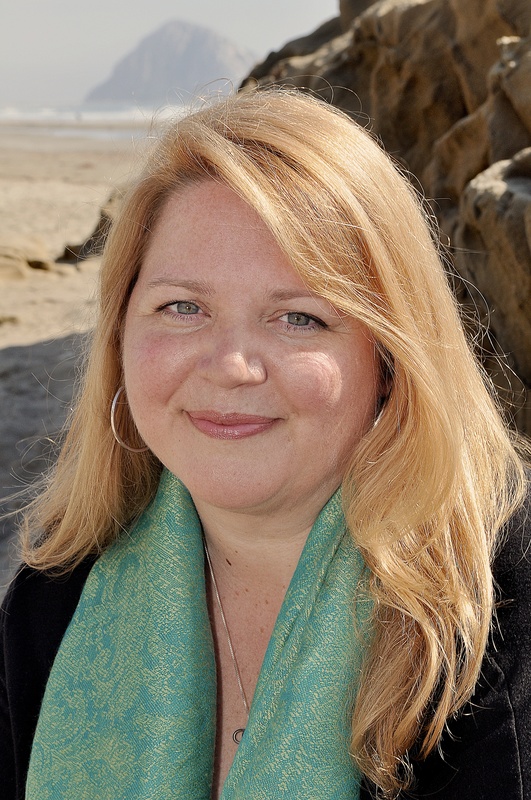 When we see someone experiencing grief, it reminds us of our own fragility – or our human-ness. And, more often than not, we don’t like it. Nobody likes to be reminded that they have weaknesses, or fragility. But sadness isn’t weakness – it takes courage to be sad, to embrace sadness and allow yourself to truly feel it. I’ve written about it before, but there’s a piece of me that envies the cultures of the near east that allow (almost expect) wailing at the death of a loved one. The expression of grief through public crying (sobbing, really) is quite impressive. But we don’t do that here. Instead, we focus on a life well-lived and all the blessings and good memories, consistently shoving away the sadness we feel inside. In the end, though, sadness is a human emotion that is a gift. It’s a gift because it gives us information and allows us to heal something unseen. Our soul’s natural state is that of peace and joy. In order to feel sadness, we must be human. In order for our soul to grow and expand, we must experience the things that it alone cannot – that requires being human. Therefore, it’s a gift to feel sadness, because it gives us more tangible experience than our soul alone can have. But we guard against it. There are numerous “gurus” out there that teach about the path of bliss – which is another way of saying, “don’t be sad.” It’s dismissive of the human experience, because it focuses only on the soul. Well, if you were only a soul – you wouldn’t be here, and you wouldn’t be learning what you need to be learning for your soul to evolve and progress. So we use platitudes and spiritual bypassing to deny our very human experience of sadness, and it doesn’t help us. What helps us is learning how to move through our emotions with more grace. Progression is not about being devoid of an emotion (like sadness); progression is about learning how to shorten the amount of time it takes for us to restore equilibrium. Instead of feeling down for 3 days, we feel it for 2 days, then 1 day, then hours, and ultimately minutes and seconds. That’s the path of the human/soul union… the path of learning.